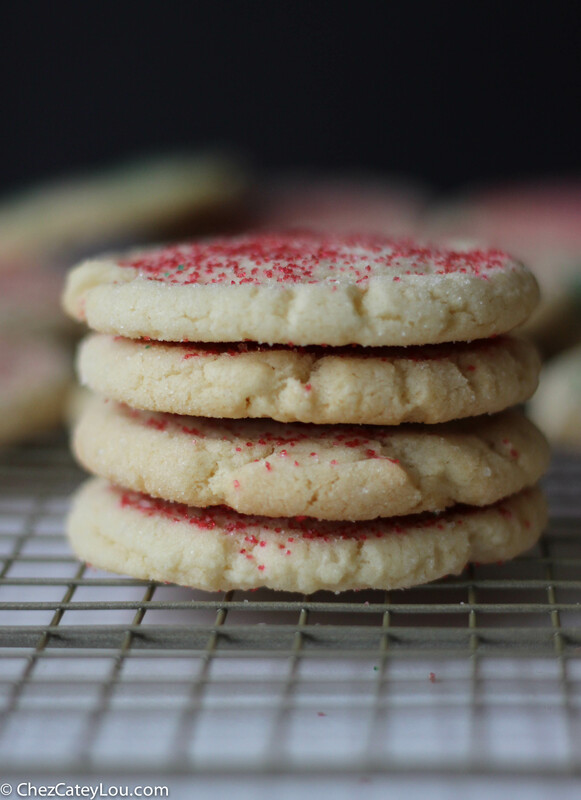 These Chewy Sugar Cookies have the most amazing soft yet chewy texture. A little cream cheese in the dough gives them the most incredible flavor. Can you believe that Christmas is only 6 days away? I have a lot of baking to do this weekend, and I’m quite excited about it. I love Christmas baking. 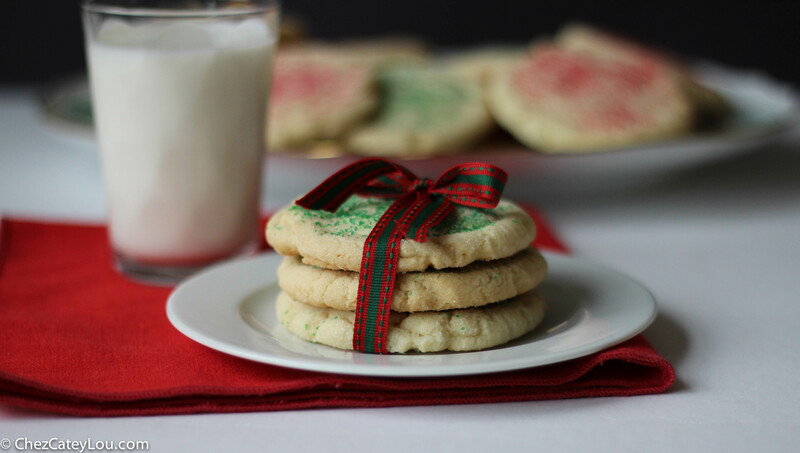 Bring on the cookies! There are so many amazing recipes that I want to try, it is really hard to narrow it down to just a few. 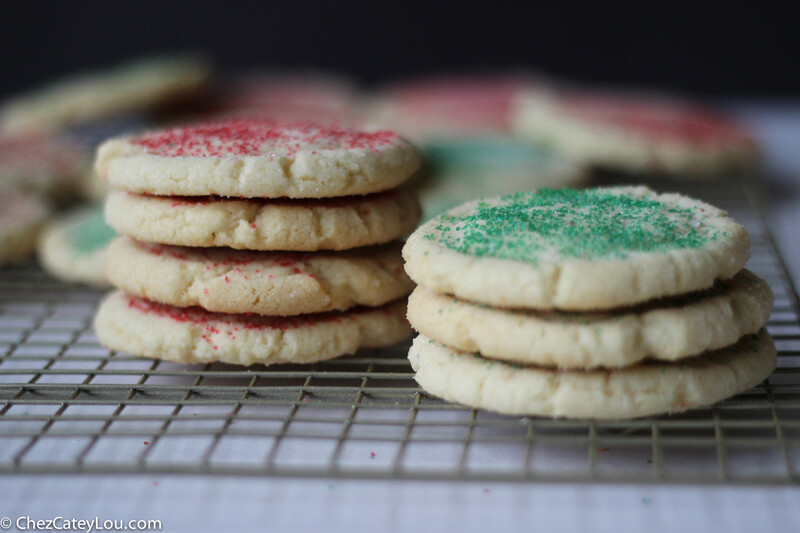 But each year I know that sugar cookies will be on the baking list in one form or another, and this year Chewy Sugar Cookies were at the top of the list. In a large bowl, add 1 1/2 cups sugar and cream cheese, then pour warm butter over the mixture. Whisk to combine - it is ok if some lumps of cheese remain. Add the oil and whisk until combined. Add the egg, milk and vanilla and whisk until smooth. Add the flour mixture and stir until everything comes together. 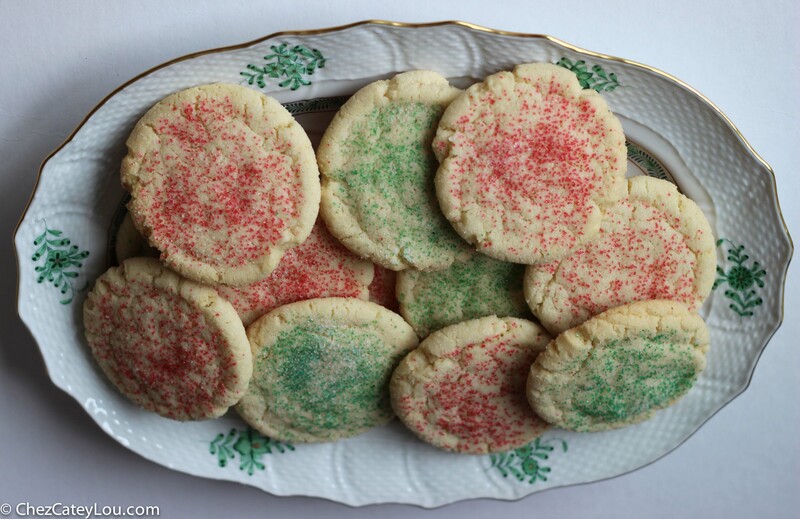 Bake the cookies for 11 - 13 minutes, until the edges are just beginning to brown. Cool on the baking sheet for 5 minutes, then transfer to a wire rack to cool completely. I got freaked out when I first read this. Christmas is only 6 days away?! Then I realized this post was from 2013. Whew! 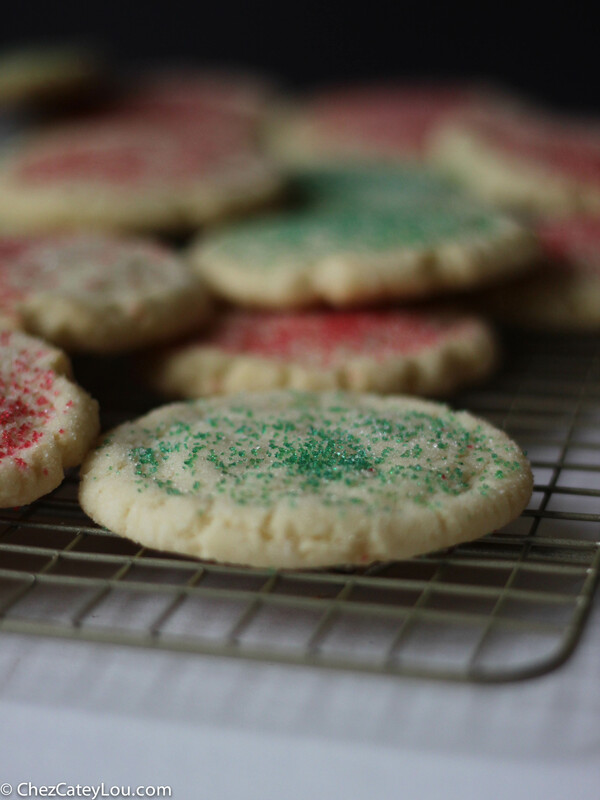 There is nothing better than a really good, soft sugar cookie. These ones look like they fit the bill! 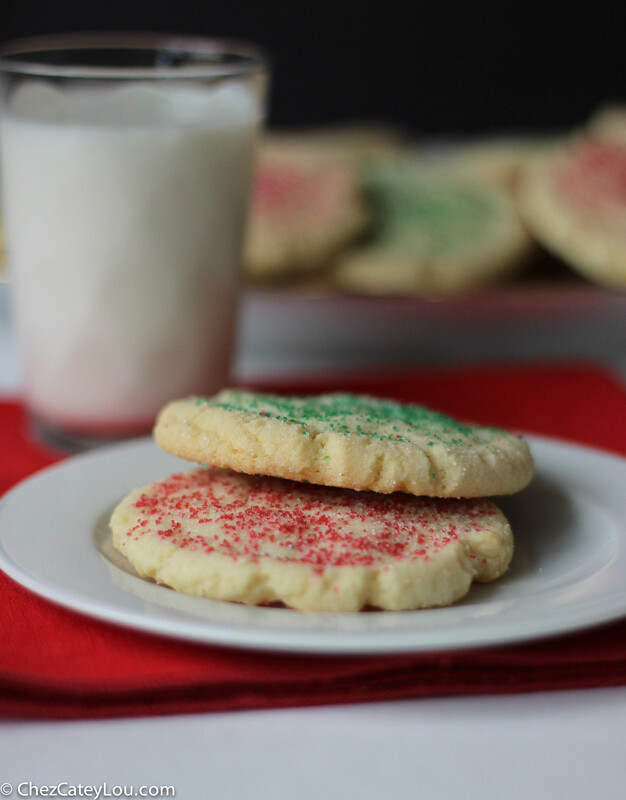 I love soft and chewy sugar cookies! 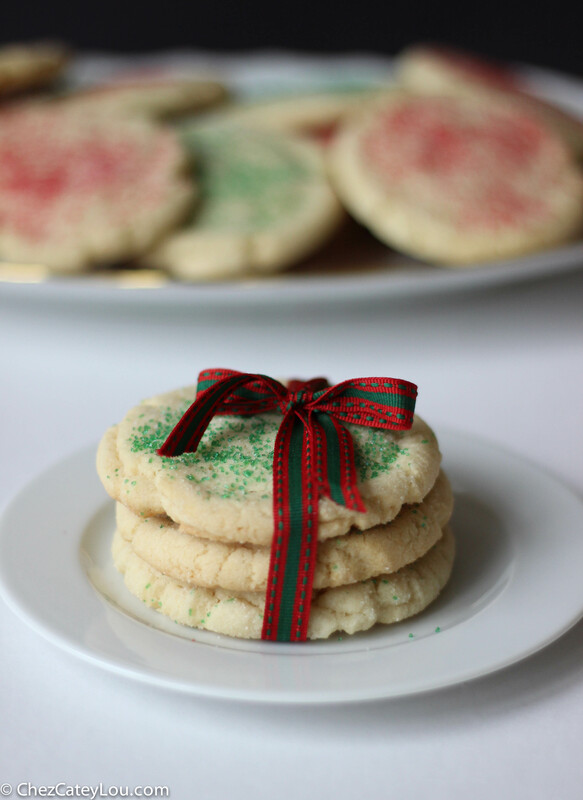 Adding this recipe to my Christmas cookie list that is about a mile long now! Thanks, Dunae! 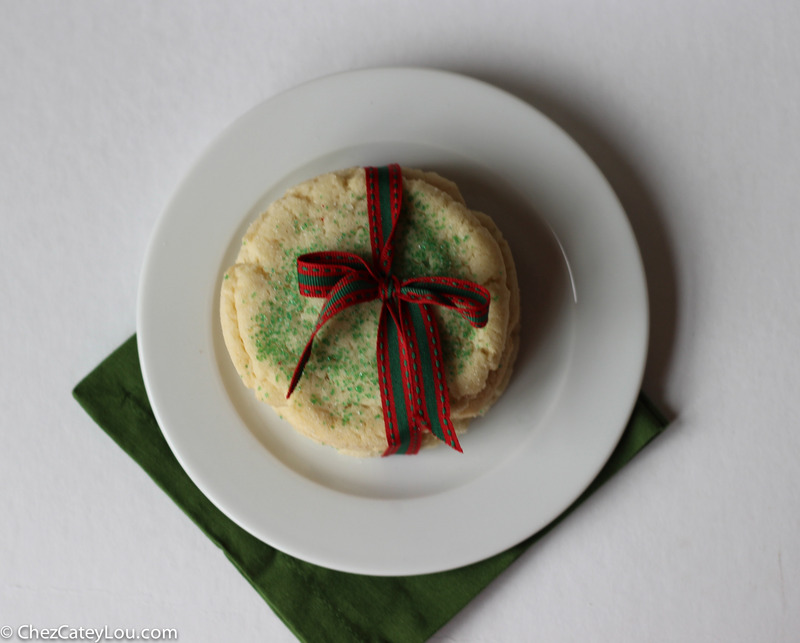 My Christmas cookie list is also out of control – I just want to make everything! These look so yummy!! 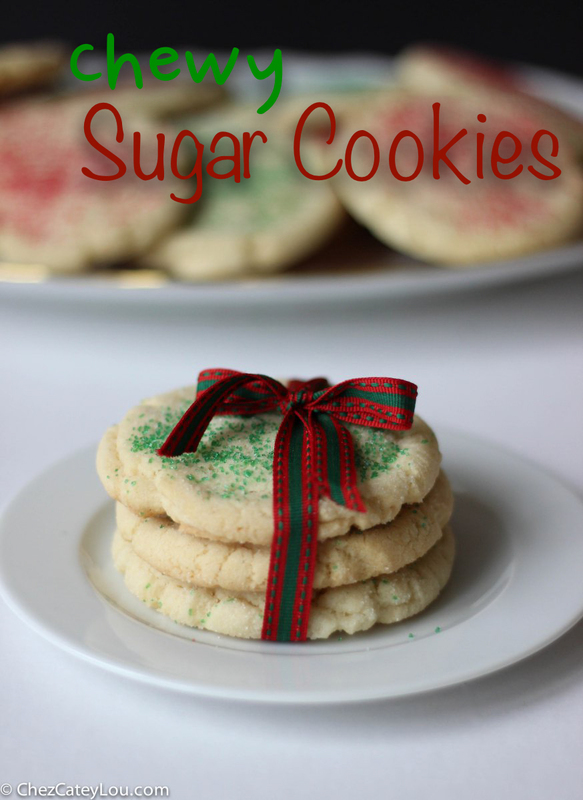 Totally need to make these with my daughter for Santa! Pinned. Thanks, Cyndi! 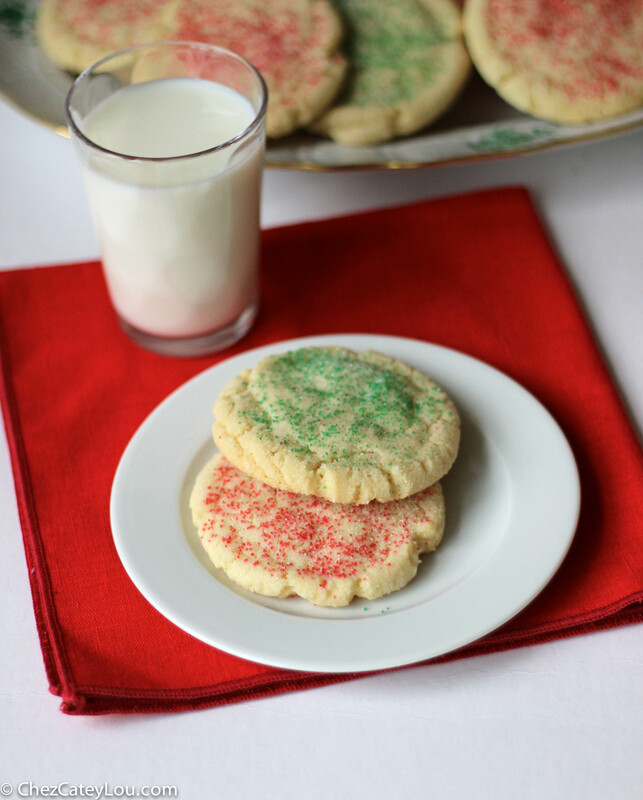 I think Santa would be a happy man if he had a plate of these cookies! These look so soft and perfect!